Through this in-orbit demonstration, Satlantis will provide the TRL-9 that a number of important customers were asking for, from Governments to large Space Operators, in order to implement new constellations of microsats based on this iSIM EO disruptive technology. Taking full advantage of the “Kibo” commercial utilisation program offered by Japan Aerospace Exploration Agency (JAXA), Space BD will provide the in-orbit demonstration service to Satlantis to contribute to its product development as an ISS utilisation service provider. Under cooperation with JAXA, Space BD will be providing a fully integrated service starting from support for safety reviews, acquisition of launch for the instrument, installation on the ISS, and downlink of observation data to support Satlantis’ technology demonstration. It’s also important to note that this is the first international contract in the history of i-SEEP. Space BD will continue to deepen the collaboration with Satlantis, and it intends to provide in-orbit demonstration service for additional optical instruments that the Spanish company plans to develop in the next few years. 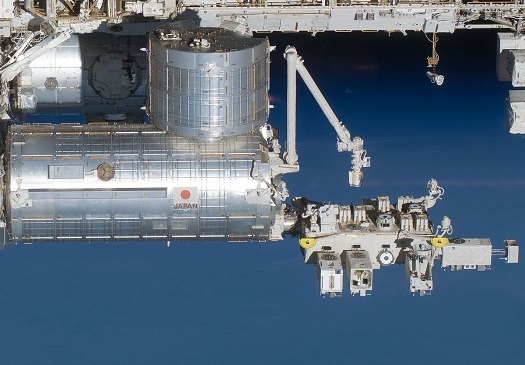 Through this opportunity, Space BD plans to further accelerate the business pertaining to the commercial use of internal and external experimental platforms of the ISS “Kibo” Japanese Experiment Module. Comment from Makoto Kanazawa – Director of Business Development, Space BD Inc.
“Demand for in-orbit demonstration of satellite components and hardware is expanding both in Japan and overseas, due to the rapid growth of the small satellite satellite market in recent years. “We recognise the ISS “Kibo” Japan Experiment Module is a valuable asset that provides safe and reliable verification opportunity for SMEs. Comment from Eider Ocerin Martínez – Director of Business Development, SATLANTIS MICROSATS SL. “New Space, as the revolution of the space sector, is deriving in a democratization of this industry, approaching the market to new actors and new business models. Microsatellites and disruptive technologies are a result of this revolution. Space BD is a space start-up founded in 2017 with the aim of contributing to the development of space industry by becoming the one-stop platform to resolve the range of issues with industrializsation of space, and to remove the burdens for businesses needing support with technology development. In May 2018, Space BD was selected by JAXA to become the commercial provider of satellite deployment service from the “Kibo” Japanese Experiment Module of the International Space Station (ISS). The company contribues to promote businesses pertaining to the commercialisation of the Low-Earth Orbit centred around the ISS, including internal and external experimental platform. SATLANTIS is a New Space specialist who provides proven high performance payload technologies to enable the development of high spatial and temporal resolution services for earth observation and teledetection. The rising NewSpace startup based in Spain is funded by several companies leaders in their industries from an University of Florida’s initiative, founded by renowned entrepreneurs, and supported by some governments and institutions compromised with R&D and the development of their territories.